Product #6078 | SKU WMS470-C5-BD1 | 0.0 (no ratings yet) Thanks for your rating! 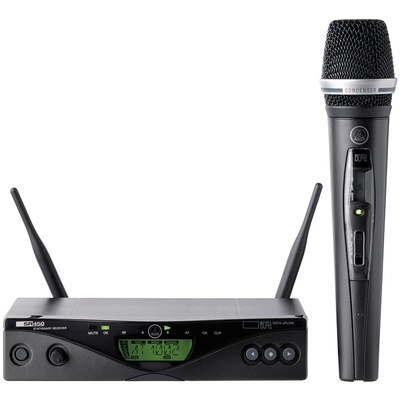 The AKG WMS 470 Vocal Set Wireless Microphone System delivers quality, reliable wireless transmission, flexible features and intuitive control for speech and vocal performances alike. The WMS 470 Vocal Set consists of the SR470 diversity receiver and HT470 handheld transmitter with a C 5 condenser, cardioid capsule. The condenser element's detailed audio reproduction is well suited for speech.